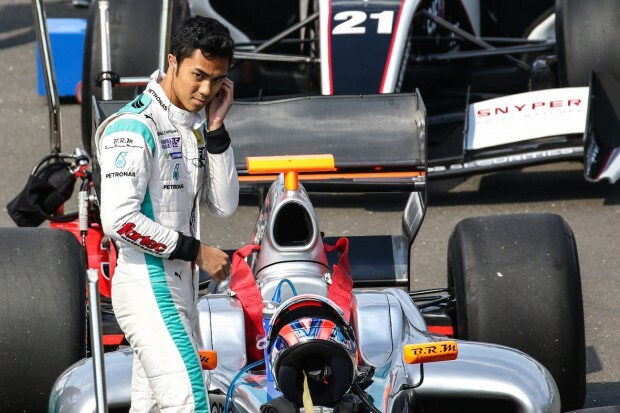 Leading young Malaysian driver, Jazeman Jaafar, returns to the racetrack this weekend, after the long summer break of the Formula Renault 3.5 Series. Resuming his title fight in the championship Jazeman will be racing at the famed Silverstone circuit in the UK with the Fortec Racing team. Currently lying third in the championship Jazeman is ready for the challenges presented by the Silverstone track, one of the longest circuits on the Formula Renault 3.5 Series calendar and with its mix of high speed corners, long straights and tight complex section, a track that always produces great racing. “Silverstone will be an important weekend,” adds Jazeman. “I wasn’t as strong in Austria as I wanted to be and although I had two top ten finishes, I need to be getting on the podium every weekend to stay in the title chase. It’s a challenge I’m up for and I’m buzzing with the excitement of being in the car again”. The sixth race weekend of the Formula Renault 3.5 Series headlines the World Series by Renault event at Silverstone circuit, with an action-packed schedule of racing, displays and shows throughout the three days, Friday 4th – Sunday 6th September. The race weekend starts with two practice sessions on Friday, 09.00 – 09.50 and 14.25 – 15.15. The first qualifying session is on Saturday morning, 09.00 – 09.30 with the first race at 12.30. On Sunday the second qualifying session is from 09.00 – 09.30 with the second race at 12.30.